We should learn as much as we can about our closest relatives in the animal world: apes, monkeys, and other primates. 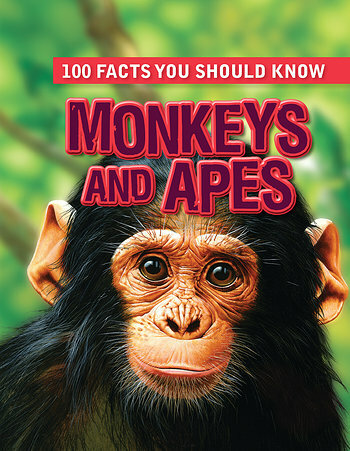 Throughout this comprehensive book, readers will discover the differences and similarities among different species of primates through 100 facts grouped by topic and their accompanying fun-fact boxes, diagrams, activities, and quizzes. Beautiful photographs of these amazing animals in their native habitats, including big-eyed tarsiers clinging to trees and teeth-baring baboons displaying their aggression, aid readers in visualizing the many important zoological details.